Did you know that Philadelphia, the “Cradle of Liberty,” home to Benjamin Franklin and the Liberty Bell, is the second most-populated city on the East Coast? Well, now you do! Founded by William Penn in 1682, by 1750 the city had surpassed Boston to become the largest city and busiest port in British America. Today it is perhaps most famous for its role as a meeting place for the founding fathers during the American Revolution, but it also served as our nation’s capital from 1790-1800 while the Federal City (Washington D.C.) was under construction. In the city’s early years, the major industries were shipping and textiles, but today Philadelphia hosts several Fortune 500 companies, including Comcast, Pep Boys, and insurance companies like Colonial Penn, CIGNA, and LFG (who own the arena where the Eagles play). -The Philadelphia Auto Show brings a quarter millions visitors each year to see around 700 of the newest car models. Visitors can ride in and drive a number of models, including off-road Jeeps. If you’re in the market for a new auto, there are also manufacturer incentives, so you may be able to get a cheap deal on a brand new Corvette! One of the other features that caught our eye was a face-off between classic Ford muscle cars and those of Dodge/Chrysler. -For a contrast to the Auto Show, take a gander at the Philadelphia Flower Show, the world’s oldest indoor flower show which also brings in 250,000 visitors a year. Attendees can tour the numerous gardens, elaborate landscapes and displays, or take gardening and cooking classes. -Then there’s the Mummer’s Parade, an annual celebration reminiscent of Mardi Gras, where local clubs compete in a number of categories including “comics,” “fancies,” and “string bands.” The parade has roots that go all the way back to the mid-17th century, and is a celebration of all of the cultures and heritages that combine to make Philly great. -Philly is said to have more public art than any other American city, thanks to the Association for Public Art. The organization commissions or purchases sculptures and other art for installation around the city, many of which are on display in and around Fairmount Park. 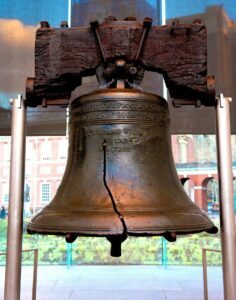 -Finally, we would be remiss if we didn’t mention Philadelphia cuisine. Home of the Philly Cheesesteak, the Soft Pretzel, the Tomato Pie, the Hoagie, Stromboli, Soda Pop, and many others, the city’s cuisine reflects its eclectic atmosphere and its diverse culture. Our favorite on the list of Philly foods was the “Scrapple;” a meatloaf made with pork scraps and trimmings (you may have seen it on an episode of “Bizarre Foods”). As always, if you there’s something you love about the city that you feel we should mention, feel free to leave us a comment here, or on one of our various social network pages.